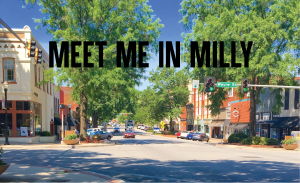 The underlying premise of the Main Street Approach is to encourage economic development within the context of historic preservation in ways appropriate to today’s marketplace. The Main Street Approach advocates a return to community self-reliance, local empowerment, and the rebuilding of traditional commercial districts based on their unique assets: distinctive architecture, a pedestrian-friendly environment, personal service, local ownership, and a sense of community. The Georgia Main Street Program began in 1980 as one of the original pilot state coordinating programs of the National Main Street Initiative launched by the National Trust for Historic Preservation. The program launched with five local communities and has grown to serve 100+ communities statewide. Georgia Main Streets represent some of the strongest central business districts in the state and in the Southeast.